Update. Both lenses have now been sold. 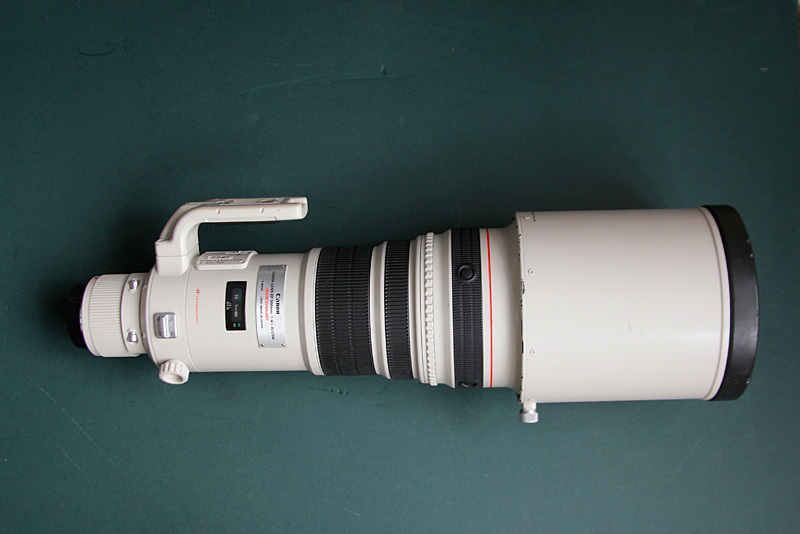 In an ungaurded moment I pressed the Buy button on Ebay and bought myself a Canon 800mm F5.6 lens. Pulling power. I have always said I use the 600mm more than the 500mm and I expect the 800mm will be even more useful. It has 4 stops of IS and I have tried it out hand held. It works. I could never hold the 600m steady, it was just too heavy. Only leaves me with one problem. Paying for it. 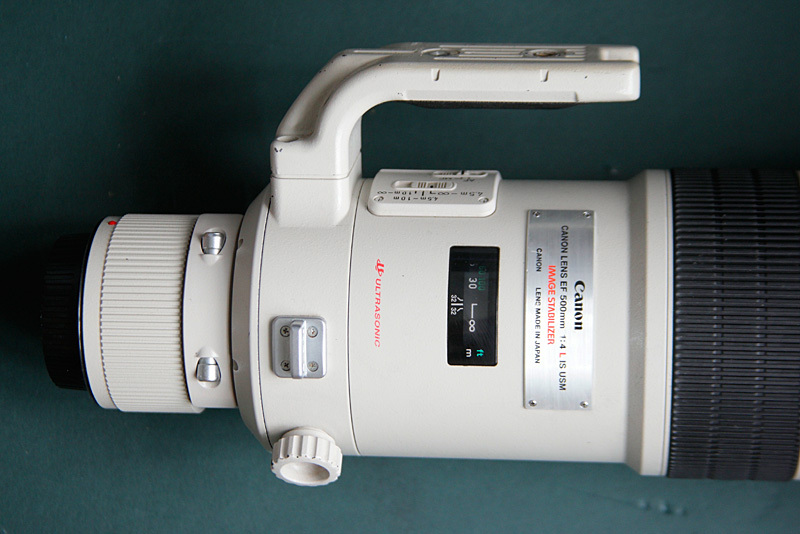 I need to sell my Canon EF 500mm f4 IS USM lens for £3200 and my Canon EF 600mm f4 IS USM for £4500. Neither are mint, but the optics are perfect. Both bodies have marks on them. 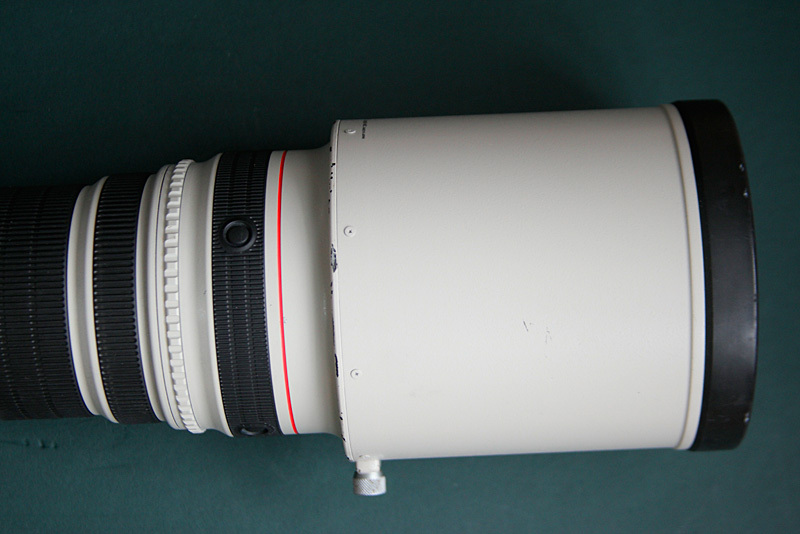 500mm lens below. The worst marks on on the base of the lens hood and tripod foot. 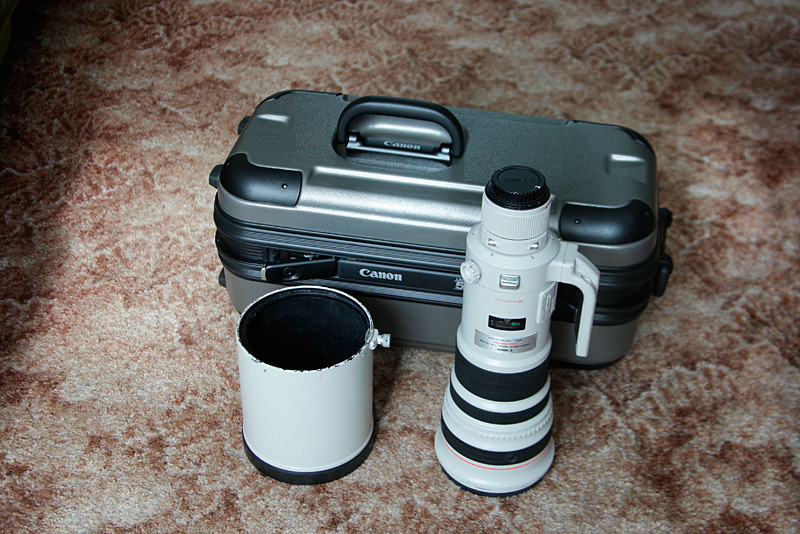 Both lenses come with the Canon case, unused. Lens hood and front cap. Please email me at mikelane@nature-photography.co.uk if interested. I am based in the Midlands, U.K.
Posted on September 16, 2010, in Uncategorized and tagged hand, second, used. Bookmark the permalink. Leave a comment.